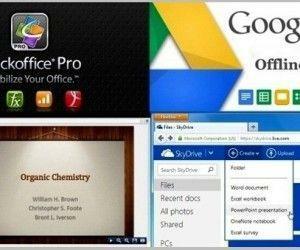 When it comes to MS Office programs, Microsoft Word is quite widely used and unlike PowerPoint, it has very few alternatives on mobile devices. 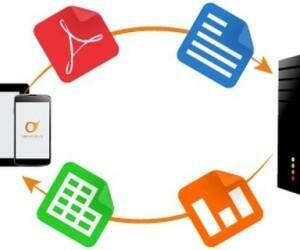 In fact, some may argue that the so called official MS Office app for iOS (Office Mobile for Office 365 subscribers) would have been more useful if it didn’t require and Office 365 subscription. 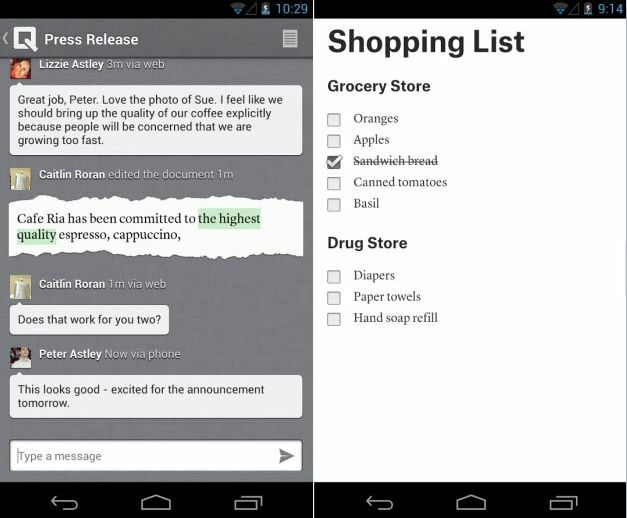 However, if you would like to use an MS Word alternative for Android or iOS devices, then try Quip. 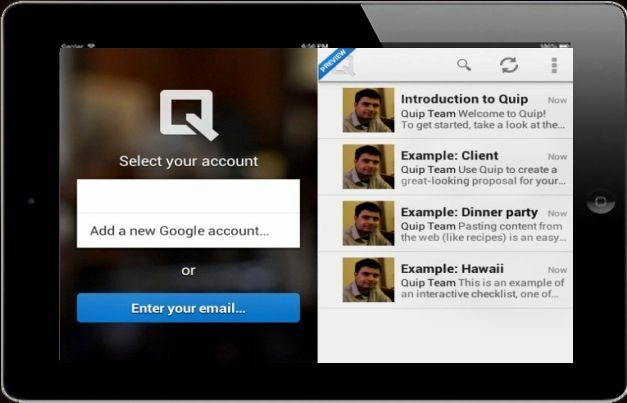 Available for Android and iOS devices (iPhone, iPad and iPod Touch), Quip comes with some very interesting features, including; real-time collaborative editing, offline editing, folders, mentions, chat threads and much more. 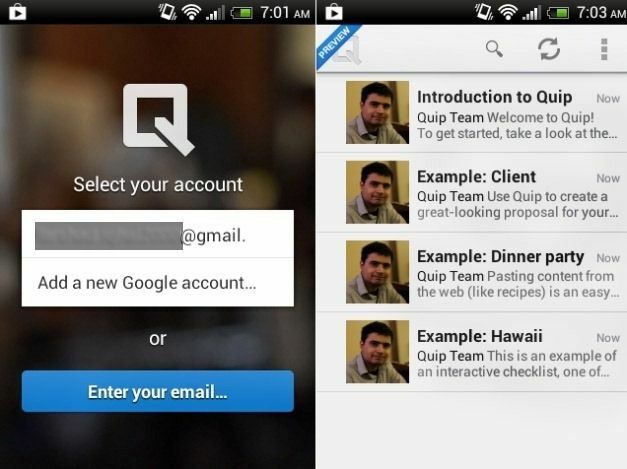 When you start Quip for the first time, it asks you to select your Google Account (in Android) or the option to add an email address to sign in. 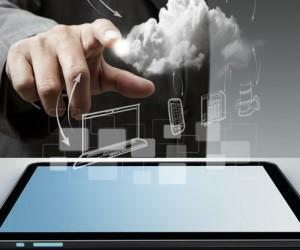 Once you have entered your email address, allow the necessary access requested by the app and you are good to go. 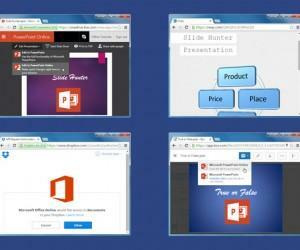 Quip provides an introductory tutorial and a few sample documents to demonstrate its functionality. 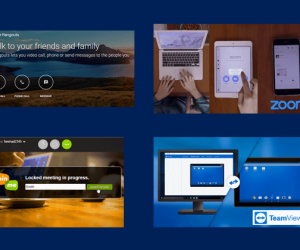 Messaging threads within the app makes it possible to perform real-time collaboration with friends and co-workers, which makes Quip more than just a Word processor, as it can be used for team collaboration on projects. Similarly, you can create lists, compose documents, create tables, share images and interact with participants using messaging threads. 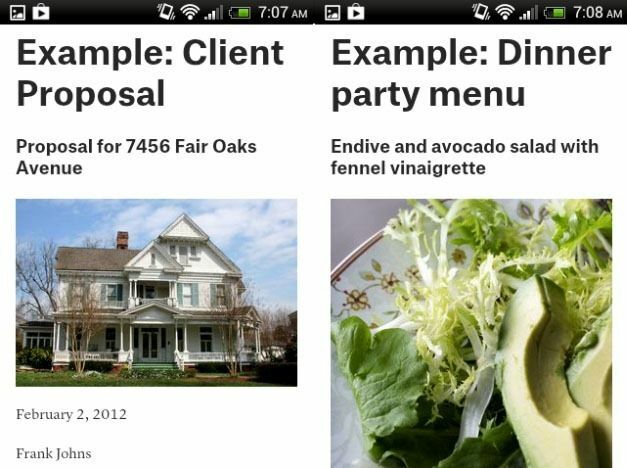 The below image shows the sample documents for a client proposal and dinner menu, which shows how useful Quip can be as a document processor. 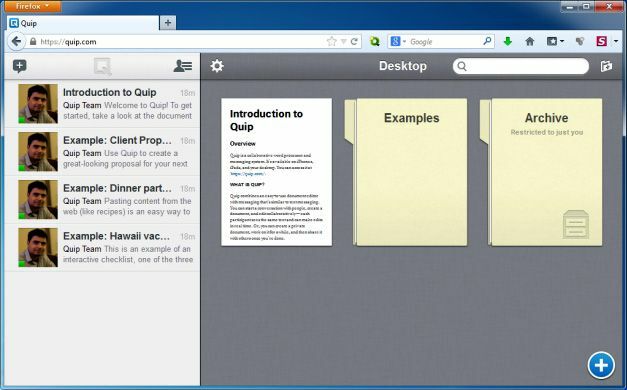 Other than its Android and iOS version, you can even save and access your Quip files online via a browser through any internet connected device.